Dinner Church is a monthly offering where diocesan youth can come together to enjoy a meal, celebrate the Eucharist, and engage in a youth-only conversation about tough topics in a safe and loving environment. Join us February 24th @ Church of the Holy Spirit - Harleysville. Dinner will be a indoor picnic. COHS is located at 2871 Barndt Rd, Harleysville, PA 19438. To register for dinner church, please click here. 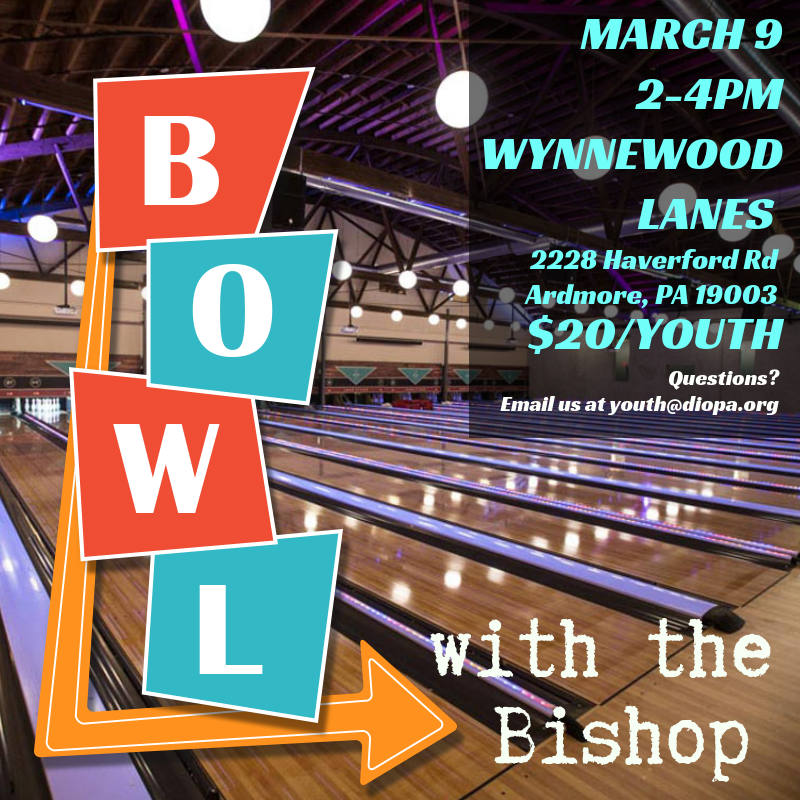 On Saturday March 9th from 2 - 4 pm, Wynnewood Lanes in Ardmore will be host our new youth event, Bowling with the Bishop. To register for this event follow this link.